The humble burger, ground meat, a description of any minced meat in realty but more often than not when a burger is mentioned everyone thinks of of the classic beefburger with ground beef. Hamburger, burger, beef burger or a slider. The meat could be ground lamb, chicken or even turkey but a burger remains to be meat of some origin (unless Your vegan) with a certain amount of FAT. Let me tell you now that the fat content in any burger is of the up-most importance. The art of the perfect Burger Recipes. So what goes into making the perfect burger. 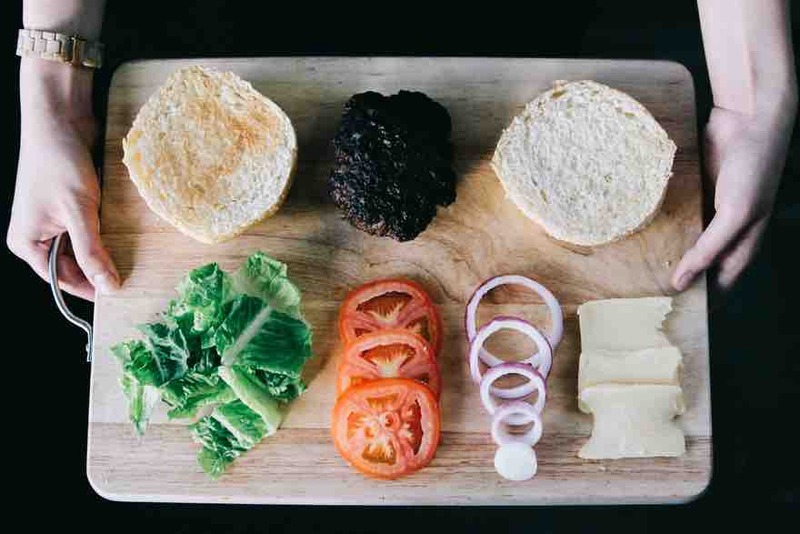 Lets take a look at all the different components that go into making the perfect burger recipe. Starting with the type of meat to the relish and toppings and what your burger should go inside. 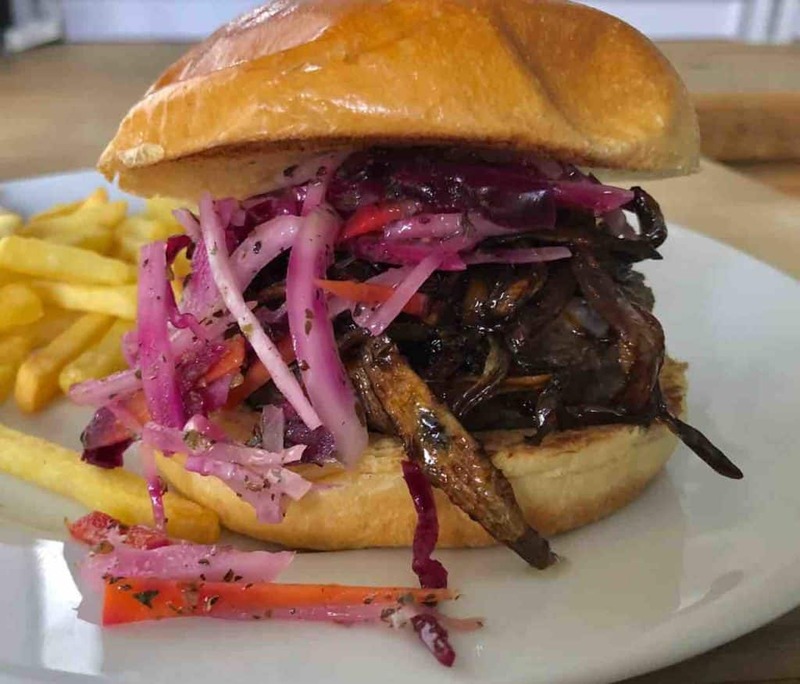 The combinations to the perfect burger is mind boggling but below we should be able to inspire you to create your very own ultimate burger recipe. Stop the press because its rumored that even though the original burger recipe came from the US of A it was an Danish immigrant. Wait, what about Germany the town of Hamburg of course that’s where the best burger recipes come from and the inventor was Otto Kuase. So where was the first and where does the best burger recipe come from ? Well the best burger recipe comes from you and the inventor is you. Yes you, there is so many variations and combinations that you can make your very own original burger recipe. All you have to do is get the basics right. Does it really matter where it was invented. Just make your favourite recipe with the tips below. Make your burger your own . Own the burger recipe. There are many a variation here, flank steak, chuck steak or luxury wagyu beef ,the choice is yours but remember that it needs to have a certain amount of fat in there. The fat acts as a binding agent along with all the flavour as well. 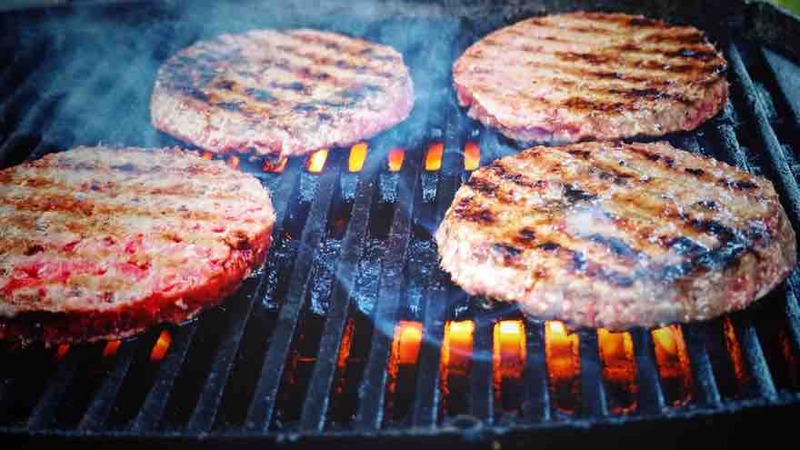 The magical fat to lean meat ratio for the best burger recipe is 70% lean 30% fat. Get that right and you do NOT need an egg in the mix to bind it all together, You do NOT need bread crumbs or any filler of any type, just pure meat, of course the mincing of the meat is also important, fine mince coarse mince the choice is yours. 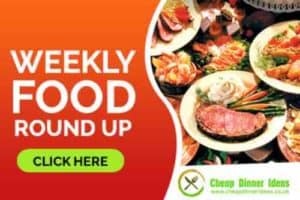 Your best option is chuck steak is your best option for making homemade burger recipes. 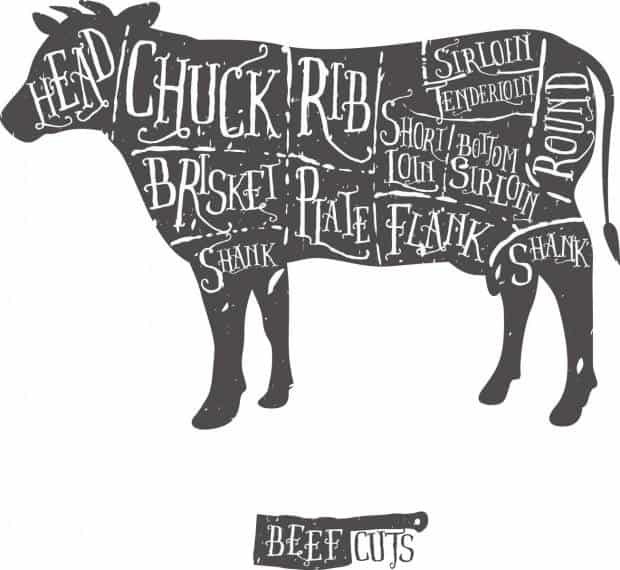 Chuck steak is also know as blade steak but more commonly sold as braising steak. The muscles at the top of the shoulder, where the chuck is found, are interspersed with small weavings of fat throughout. This gives the burger a great “steak-like, but giving” texture. What’s more, the chuck is a hard-working group of muscles, so you never have to worry about blandness. 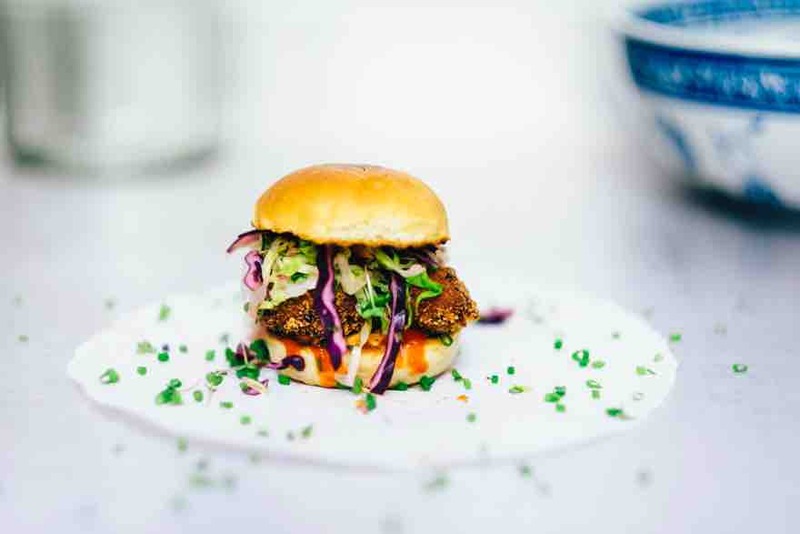 For this route in making your own hamburger recipe you will need a mincing machine or a mincing attachment to your food processor. Either way this is the ultimate way to create your own burger recipe. There is other meats and speciality blends to make a burger recipe. Some speciality burger joints use dry aged steak trimmings and others even add the trimmings off their pastrami joints and smoked meats. Add your own seasoning as you mince, this way it runs through all the meat. The next step down in making your own ultimate burger recipe. Buy your butchers mince meat or get the mincemeat from the supermarket. However do remember the fat content, if you get the mince meat with 5% fat it will become dry and tough whilst cooking it. Keep as close to the 30% fat ratio as you possible can. As the mince is just mince at this point you can add your flavours. Please just never add onions, breadcrumbs or eggs to your mince. 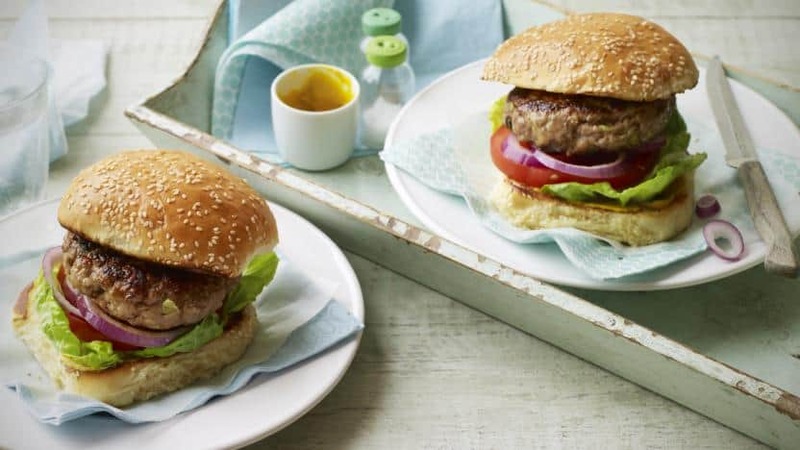 The pure burger simply has salt and pepper, ideally you do not want to add to much salt into the mince, rather add the salt to the made pattie just before cooking it. Add to much salt to early and it will draw out that precious moisture from your burger pattie. Either form the burger pattie in your hand moulding it in to a burger like shape or you could use a guide. Sometime I get the kids a pastry cutter and get them to pack the mince into that using the end of a rolling pin. Gently of course or you will have mince meat all over the kitchen. Now if you go down this route its not the end of the ultimate burger recipe. After all a good hamburger is the sum of all the parts. The pattie, bun,toppins and the sauces. Just ensure that if your buying your burger pattie that its a goodie. What I mean is that don’t buy a burger with onion or breadcrumbs in it. What you need is 100% beef fro the perfect burger. I often buy my shop bought burger from Aldi, they are around £1.90 for four quarter pounder beef burgers. 100% pure beef, they taste meaty quite firm in texture and a slight pepper taste to them. I would highly recommend these burgers from Aldi from their frozen section. As they are frozen I always cook them in the oven for around 20 minutes. This then leaves me time to prepare the rest of my ultimate burger. Now another burning question and debate amongst burger lovers. What is the perfect burger bun. Does it have to be a posh brioche bun. Sesame seeds, does the bun have to be covered in sesame seeds to considered a proper burger holder. If you put a beef Pattie between two slices of bread is it still a burger or a ground beef Pattie sandwich. Should the burger bun be toasted. Well for me this is any easy one to answer, and the answer is always a yes. If you do not toast the bun then all the toppings and sauces just soak into the bun. This then makes it soggy and your burger starts falling apart. Its not pretty and it certainly isn’t clever especially if ladies are present. It may be acceptable at the Man BBQ pit, never at the family table. So what is your preferred bun for your ultimate burger recipe. 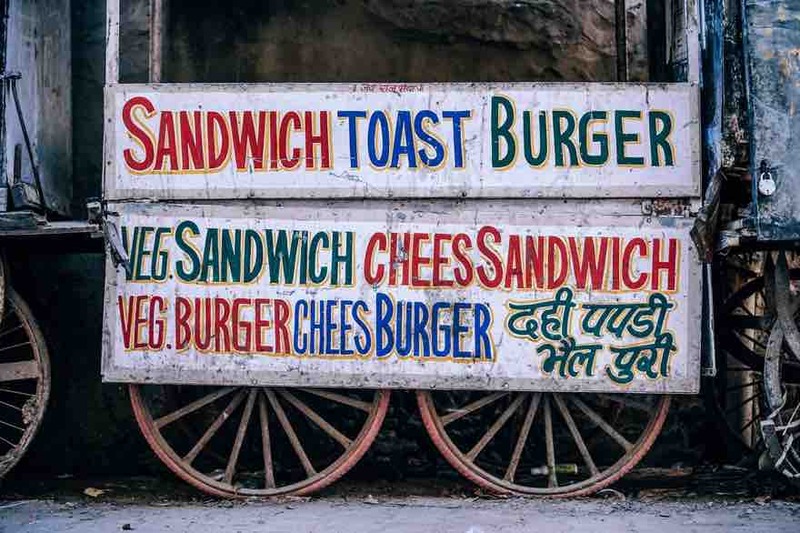 So your burger, with or without cheese? This simple question can open a snake pit of questions. How many types of cheese are there in the world. I dare not even guess. Maybe your a purist and never have cheese between your bun and beef pattie. The type of cheese you have in your burger determines the other fillings you have. For example lets go way out there on a cheese choice. What about brie, sounds a little way off but if you add some caramelised onions it would make sense. After all haven’t you had a brie and caramelised onion. The flat pre-packed burger cheese, yuck its like melted plastic on your beef pattie. The kids love the processed piece of square cheese with more packaging than a barbie doll. I like something with flavour and a deep punchy flavour, some contrast. Take blue cheese perfect, those pungent smells and taste notes with the beef. Then paired with some mushrooms then you have a classic burger topping. Or just s simple creamy cheddar, just add your favourite cheese. Should you add more to your burger bun. Cheese or not to Cheese a burger. We have the basis of a good looking burger but you want something more. What is it, texture is the answer for me. Ideally something with a little crunch against the soft velvety meat. Does that crunch come from raw onions or some type of slaw. When I make my coleslaw I always add a little of smoked paprika, I find it gives that edge and depth of flavour. One of my favourite slaw topping is my kebab shop salad. Seriously a marriage made in heaven, meat and veg a slight variation on the classic takeaway. They should start selling it in all the kebab shops because its a winner. You could add salad to your burger, a simple iceberg lettuce perhaps with some tomatoes. You could also down the route of riddled pineapple to make it a Hawaiian Burger. Got some leftover chilli why not add that as a topping and call it a Sloppy Joe Burger. Late on a Saturday night just before closing time the conversation turn to the takeaway. A few beers inside you and the debate starts. The perfect burger should it have onions or not. After a few beers its not a debate it becomes close to an argument. So whats the answers, well its your personal preference again “have it your way” to coin a phrase. So you do like onions on your perfect burger but how do you like them. Oh the options again are a little perplexing. Should you have them raw, a great contrast with that sharp tang from fresh onions. Maybe simple fried onions with a little salt and pepper. What about caramelised onions with some balsamic vinegar and sugar to give balance, or shallots in your burger. Some people like their onions to be boiled so they are soft and mild. It depends on what your perfect burger onion topping is. 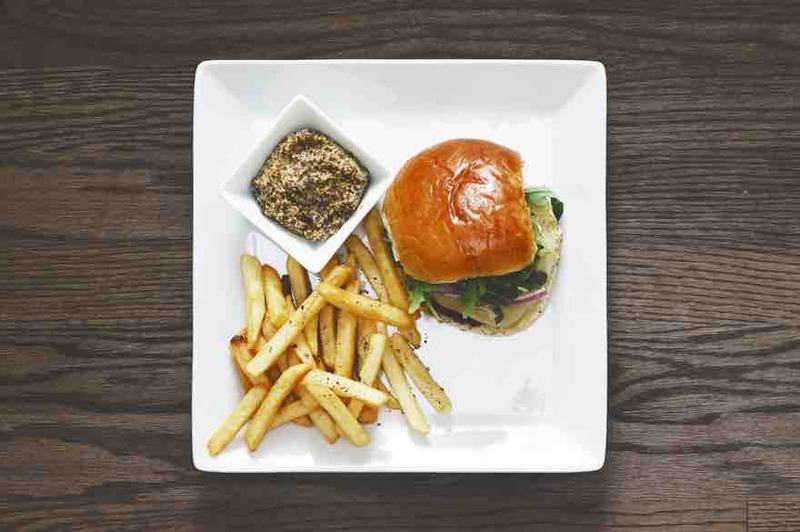 To sauce or not to sauce that is the question when to comes to there perfect burger recipes. personally I rarely have a bottled sauce on my burger. The kids however range from the classic tomato ketchup or barbecue. Occasionally the other half has mayo if she has a little bit of salad between the burger and the bun. Some major brands have become famous because of the sauce they put in their burger buns. Mcdonalds made a fortune on their classic and famous sauce. Some say its a variation on a thousand island dressing others, well its guess work. It doesn’t do it for me but you could try this copy cat recipe. You could just go chilli sauce. Fry, grill, BBQ or in the oven. In the oven I hear the purist streak, well my frozen burger cooks perfectly in the oven from Aldi. However I do like the sear and smoke from a good BBQ, and I do not mean the gas fired ones. If you have a gas BBQ you may as well just cook in the bloody kitchen. Sear and smoke and another dimension to the perfect burger. Even if you have a shop bought burger or your homemade ground beef pattie. The outdoors, the beer, the smoke ,that little sear adds to the flavours, what you need is depth of flavour. Do everything you can to your burger to make it truly classic. You want the neighbours to be jealous of your perfect burger recipe.Drop some applewood chips onto the BBQ for a truly inspiring tasting hamburger. How to cook the perfect burger, do it your way and what is convenient at the time. Its the combination of the toppings that makes it great. If you are having a cheese burger the best way to melt the cheese is to steam it . Now this one is difficult for me. Occasionally I like a pickle on my burger, it adds to the texture and the contrast. I now rarely eat any famous branded burger as it seems to make me bloated. I think its the mass produced bun for the burger. The choice again is mind blowing. Gherkins, pickled onions, pickled radish or even sauerkraut. In the same vain there is also the relishes, tomato relish and my least favourite one is corn relish. thats just yuck or perhaps I haven’t just had a good one. If you have a great recipe for a good burger relish please do send. 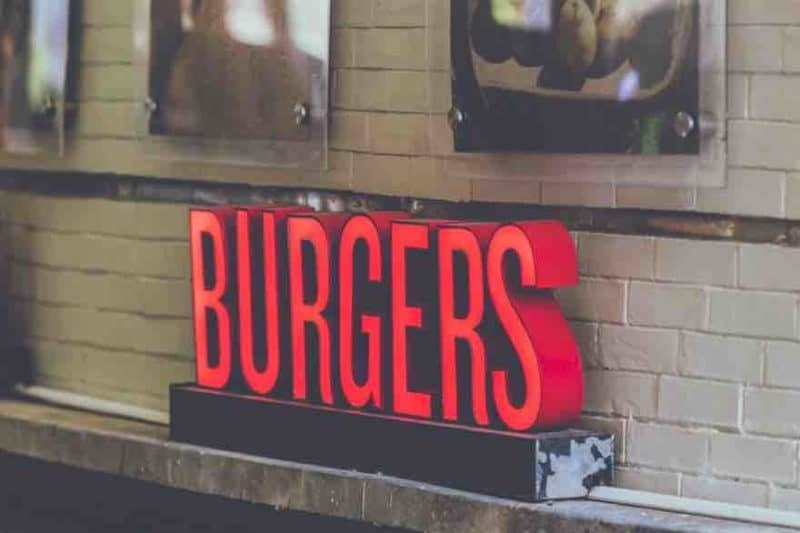 Burgers are big business and probable the most profitable and most famous of any takeaway . These are billion puns industries but can any of them ever claim to produce the ultimate burger recipe. Well it depends, if its for profit then yes if its for flavour then no. Mcdonalds have sales of over 35 billion dollars. The next on the list is Wendy’s with sales over 8 billion dollars. So you can see why everyone want to get in on this life long burger craze we have. I am sure there are many many more burger joints around the UK and the world. One of the best burgers I had was in Manchester and what made it for me was the creamy cheese sauce they put on the top. There was only ever two of them, One in Manchester centre and the other on the edge of Stockport. The las time I went to Manchester it had closed sadly, So having a great burger is only half the way to success to becoming a burger empire. The other half is marketing your burger, look at McDonalds, below average burger but the top selling burger. We all have our own ideas on what the best burger recipes are. 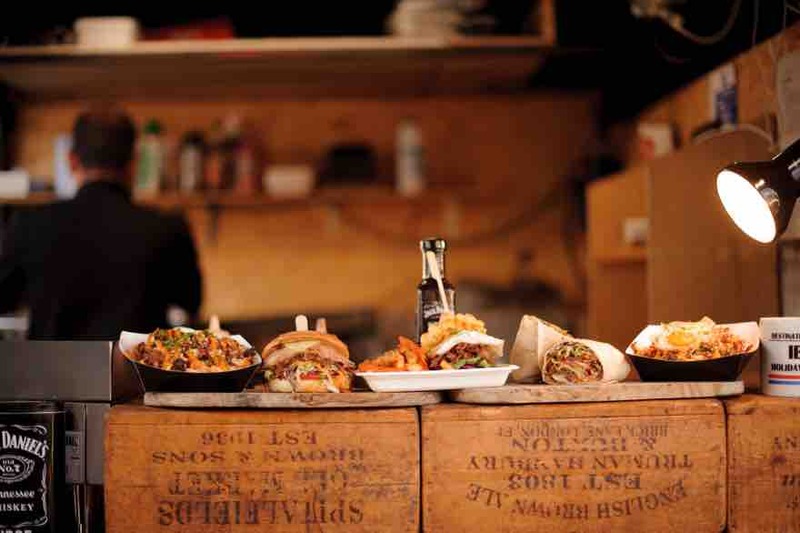 Below is a collection of burgers, sliders from the rest of the world. Maybe one of them may inspire you to create something new. Not only new but better than you have created before. Make the classic burger but then don’t rest, see if you can improve upon it. If you love your meat then the Ultimate Kebab Collection is for you . A gentleman of a certain age and experience. Happiest in the kitchen feeding the 3 children who are constantly hungry. Lucky enough to have worked in a Pro kitchen on a voluntary basis to learn the tricks of the trade.. Buckinghams The restaurant with one Table. With Chef Nick Buckingham.